the Natural History Museum of Los Angeles County. Researchers are paying close attention to a yellow-bellied sea snake that washed up on Newport Beach. It’s usually found in the waters off Mexico. LA’s Natural History Museum is adding the creature to its collection. Scientists hope the small animal can tell us a larger story about global climate change. The U.S. State Department is telling Americans not to travel to five Mexican states. The states are in the same warning category as Syria, Somalia, and Yemen. 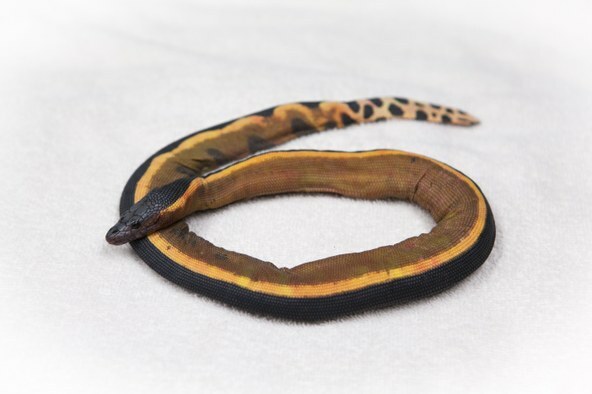 Photo of a yellow-bellied sea snake courtesy of the Natural History Museum of Los Angeles County.